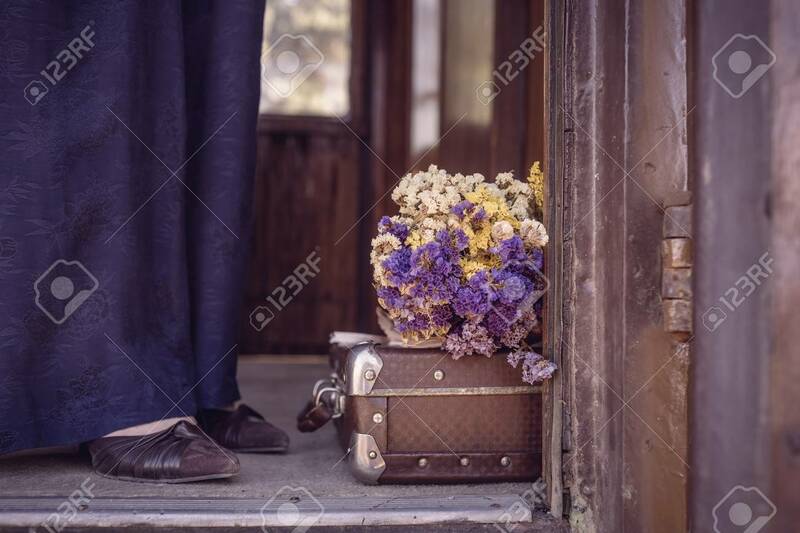 Suitcase, Dried Flowers And Fragment Of Female Legs In Blue Trousers And Shoes In Old Train Car. Photo Tinted In Vintage Style And With Vignette Lizenzfreie Fotos, Bilder Und Stock Fotografie. Image 108062943.